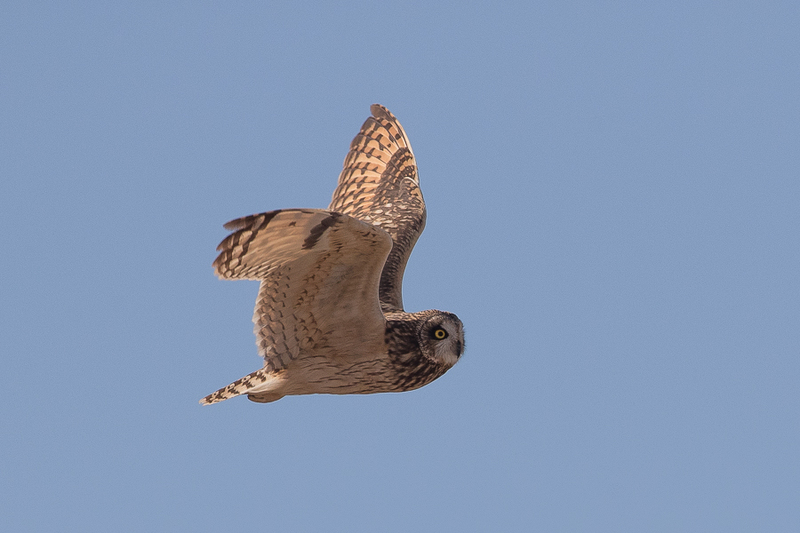 Greg Askew found a group of six Short-eared Owls near Al Asfar Lake, Hofuf 27 January. 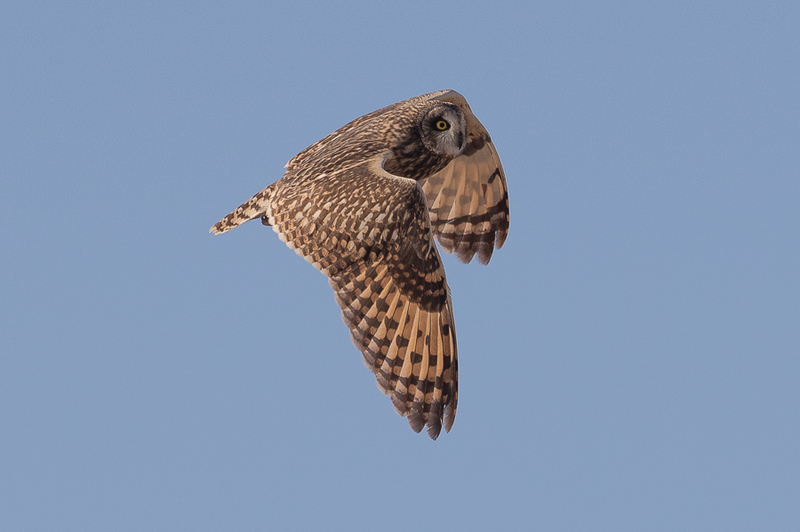 He very kindly let a couple of birders know and so I went the following weekend with Arnold and met up with Greg at the location. We arrived at first light and spent some time walking the area before seeing five birds in flight at some distance. 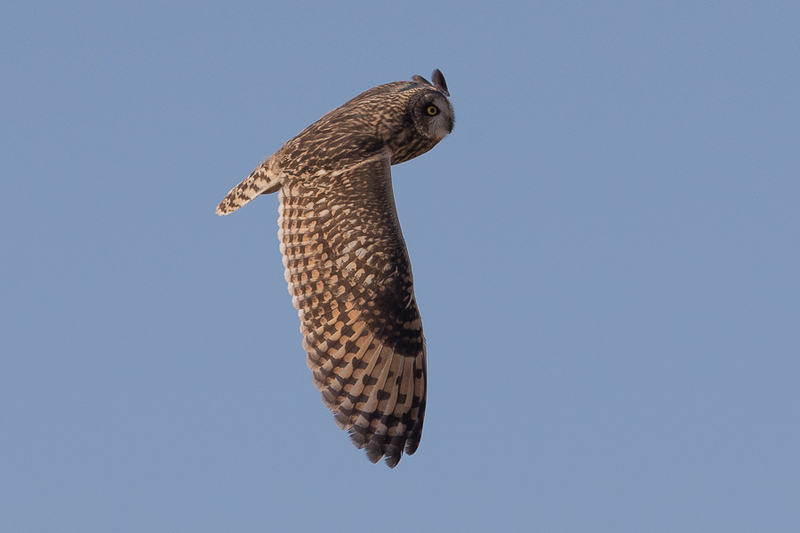 After careful searching we managed to get better views but were unable to see any on the ground and only got flight views although some were close. We did not want to disturb the birds too much so left before we managed to get any shots of the bird on the ground. 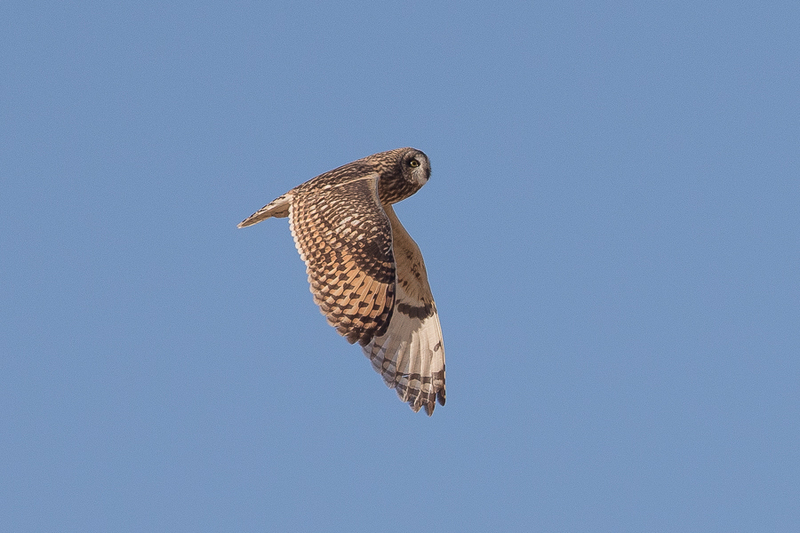 Short-eared Owl is a scarce to uncommon winter visitor to all areas north of Jeddah, Riyadh and Hofuf. Two birds have been seen on occasion woth the last record being two birds seen on the Bisaita plain in the north of the Kingdom on 13 February 2009. 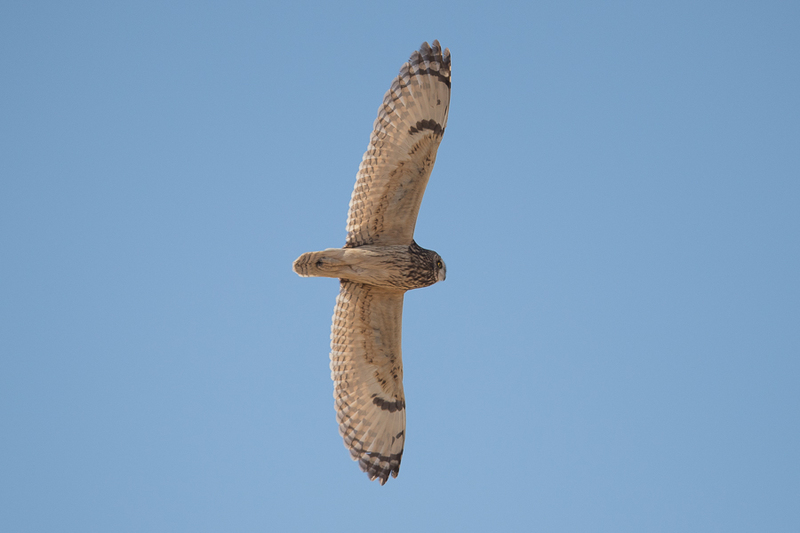 In the Riyadh area it is a rare or scarce winter visitor. 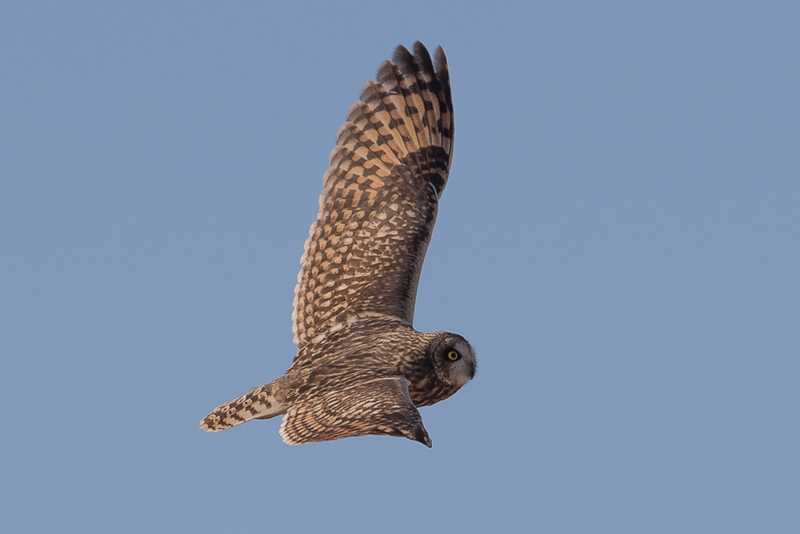 The birds of the Eastern Province (Bundy et al 1989) says it is a winter visitor with the following records: one found dead at Abqaiq 12 December 1975, one on a ship in the Gulf 18 October 1979, one Haradh, 29 November 1979, one Abqaiq 3 December 1982. The largest number ever seen were a minimum of eight near Wari’ah, Diddibah 12-13 February 1987. This makes the group of six found by Greg a very rare sight.